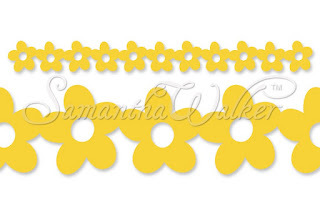 Today is the day for the May Samantha Walker Blog Hop and this month our theme is teacher gifts. As you hop along today, you will see so many great projects. Welcome to this month's hop! I printed the striped paper onto white card stock and then used my Silhouette Cameo to finish the card, filling the inside with floral and notebook papers before cutting it out. I added magnets so that the gift card holder could close securely and then added a stamped and colored image from Bugaboo Stamps to the front. All you need to do is enter below. You can earn multiple entries by following us on Facebook, commenting below, tweeting about the giveaway, and signing up for the email updates. This giveaway is open to US customers only. Thanks for hopping to my blog today. 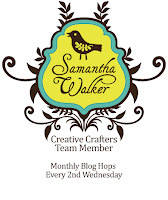 Now it is time for you to visit the final stop on the blog hop - Samantha Walker's Facebook page. PS: Just for fun, I am linking my project to a new blog I discovered today. It is called Silhouette Challenges and you can play along too by clicking right here. love the files you used. great colors and paper. 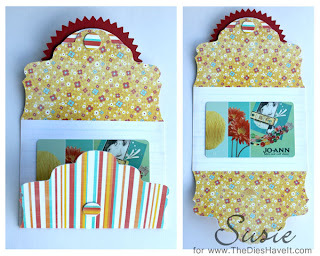 Love that you used this cut to hold a gift card and the papers are perfect for a teacher gift! Teachers love gift cards, so why not go that extra mile and create a beautiful presentation like you have. Thanks for sharing. Adorable! I'm really loving those pencils! I love this! So perfect for a nice teacher gift! Perfect teacher gift and so cute! Awesome use of the cut! Love it! this is perfect, I always give out gift cards and always looking for a cute holder...yours is perfect! thank you so much for the inspiration! Cute idea!! Thanks for the chance to win!! This turned out so cute! love the double sided hybrid paper you created! The gift card envelope is fabulous! Perfect for delivering a gift card! I give more gift card than regular gift nowadays & am always on the look out for beautiful gift card holders like you. Thank you sharing it. Awesome gift card holder! and great idea about the magnets. Thanks for the inspiration! Fabulous idea. Love the papers you chose. Another great idea for packaging! Your card is just adorable! 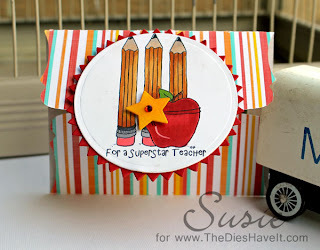 Really love the card, and teachers ALWAYS need gift cards! Oh so cute! Just love the way you colored the stamp on the front! Thanks! SO Bright and SO CUTE... love idea of a magnet to keep the card holder closed!!!!! GREAT project TFS! Perfect gift card holder. Love it. fabulous gift card holder. love it. Im enjoying the blog hop!! the prize is awesome!!! Great papers on your gift card holder. This is a very cute gift box! Loved that you used a magnet for the closure. TFS! What a great gift card, thanks for sharing, love the paper you used. What a super cute idea! Love the colors and how bright too! Thanks for playing along with Silhouette Challenges!! So cute and colorful! i love it! this is so cute and the magnet idea is genius! Thank you so much for sharing it with us. I am so impressed with what everyone has done on this blog hop! I have never seen this machine before. But I am very excited about it! 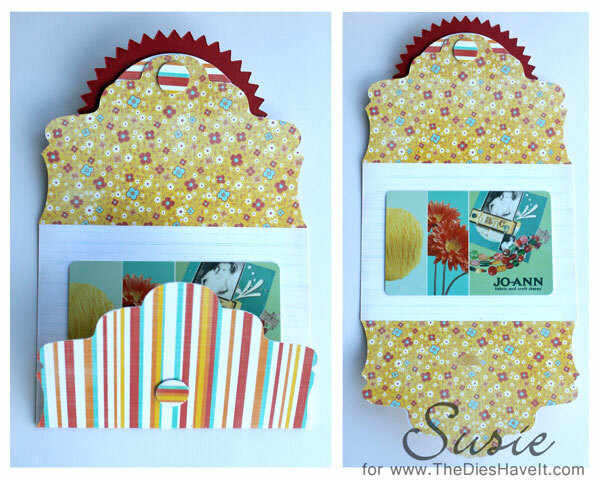 Love this gift card holder!! So cute!